BACKTOFRANKBLACK.COM: Curse of Frank Black Week: Millennium Group Sessions FREE podcast! Curse of Frank Black Week: Millennium Group Sessions FREE podcast! BacktoFrankBlack: Millennium Group Sessions 14: MILLENNIUM - The Curse of Frank Black! In this episode of the Mill ennium Group Sessions series, the focus is Curse of Frank Black as BacktoFrankBlack's Curse of Frank Black comes to an end. Jim interviews Kett Turton, the once kid actor who told the ghost story in Frank's basement before Troy and Jim launch into a Curse of Frank Black discussion with Kett and Millennium fan/Paranormal author, MR Sellars! PLUS: British fans, see Kett live! "Moliere or The League of Hypocrites" by Mikhail Bulgakov. Running from Nov. 24th - Dec. 19th at the Finborough Theatre. 6 Responses to "Curse of Frank Black Week: Millennium Group Sessions FREE podcast!" Awesome guys, thanks for the latest podcast! I'm still way back trying to find time to listen to the Megan Gallagher podcast, but I'll catch up eventually! I wish you did one a month instead of usually one a week but there you go - they are all brilliant and a pleasure to listen to! Another cracking episode fellas and nice way to conclude your "curse of Frank Black" week. I'll just re-iterate that Bret Hart's promo for this week was amazing. This was a short and sweet podcast, it felt short, because of the different segments. This was a fun one as well, you have done no wrong from day 1...in my book. And it was a pleasure listening to Kett, very interesting to hear what he had to say about his work. 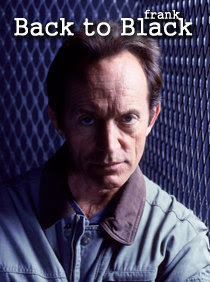 And yeah, that was a good Frank Black / Lance Henriksen impersonation, Kett. I didn't even attempt to do my Frank Black voice, probably worse than Troy and he's not bad. Another great interview guys.Kett seems like an intelligent actor who takes his craft very serious.All the best to him on his future endeavors. So many things about "The Curse of Frank Black" that I love one of those is the SAAB reference with the Chig costume.The flashbacks Frank has also remind me of Halloween when I was a kid.The neighborhood where they go Trick or Treating looks so much like my home town.You all did a fine job with the panel discussion. An interesting listen this podcast. I missed the start of The Curse of Frank Black when it premiered in the UK on Sky One. Don't remember a lot of the episode as I haven't seen it since that premiere in early 1998. I like a good mix of different Halloween episodes from different shows. Not every show is going to be a classic. I don't like over use of CGI, but when the show's do their Halloween episode right they're still watchable, with some being decent and some being classics. Enjoyed the interview with Kett Turton.